Well, not so fast. There’s actually another way to look at the situation that is far more promising for the future of climate activism. As I argue in an article published by Slate today: Win or lose, an important shift has taken place within the broader environmental movement as a result of this pipeline struggle. It was never about just a pipeline. 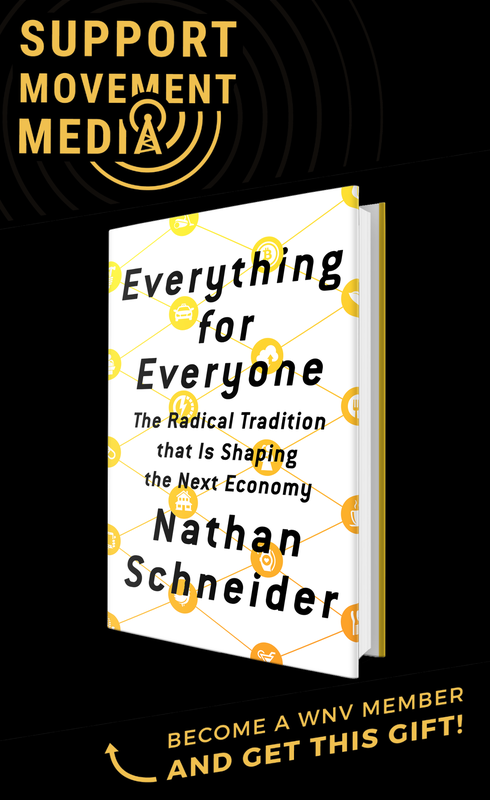 McKibben and a handful of others had another, less talked about goal—to remake the environmental movement into something far more active, creative, and formidable for years to come. The gap that once existed between mainstream environmental groups and grass-roots activists has now largely dissolved, resulting in widespread action that has not been seen in the United States for decades—perhaps even since the first Earth Day in April 1970. The story of how this came to be is one we’ve been tracking on Waging Nonviolence since before the landmark White House sit-ins in August 2011. It’s also one that I spent the past year putting together in the form of a master’s thesis. 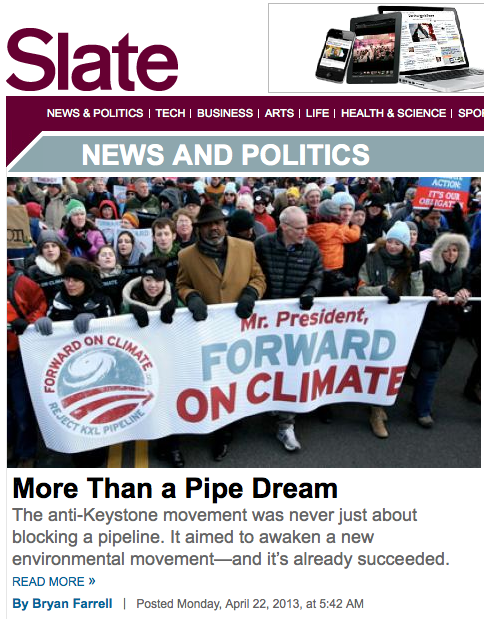 But lucky for you, this Slate story is the abridged version.